PHII's Online Mold Safety, Assessment, Reporting & Standards Course is 16 hours and provides an overview of what mold is, how exposure can affect your health, where mold grows in homes and how a certified mold inspector investigates and reports on it. The course also explains the National Association of Mold Remediator and Inspectors (NAMRI) Standards of Practice. 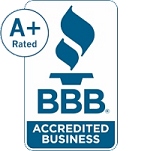 The course is a good introduction for home inspectors and others in the real estate field who may want to expand into indoor air quality (IAQ) inspections or later pursue mold certification training. The course focuses on the major topics that are most important to residential home inspectors. This course will help home inspectors quickly understand how mold can affect their clients and why the client should consider having a mold inspection performed prior to closing. It is also a good refresher course for mold professionals who want to brush up on their mold knowledge or complete continuing education requirements for licensing renewal. 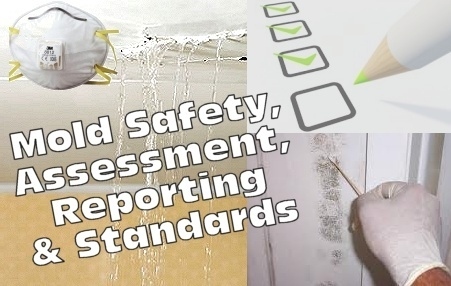 The course, available online only, illustrates, and explains the most important components of mold safety, assessment and reporting in a simple, straight-forward manner. As you complete each lesson, you will use interactive flash cards and take practice quizzes that will test your knowledge, generate instant feedback and provide opportunities to correct mistakes, re-learn information and re-test. Our system keeps track of your progress, so you can take a break at any time, even turn off your computer and the course will return to where you left off. When you finish the course and pass the final exam, you will feel more confident and informed about mold-related issues. We are an approved training provider for the State of Florida MRS (Provider #0005804) and can offer continuing education courses for license renewal in accordance with Rule 61G6-9.012(3), Florida Administrative Code. If you are taking this course for Florida mold license renewal credit (due every even year), upon course completion we will submit your CEC hours to the State of Florida through its online reporting portal, which will fulfill your 14-hour continuing education credits requirement due by July 31, of even-numbered years. Contact us after completing the course to verify that your hours were submitted to MRS.
Online Course Access, Online Flashcards & Testing, Certificate of Completion, Toll Free Student Support.